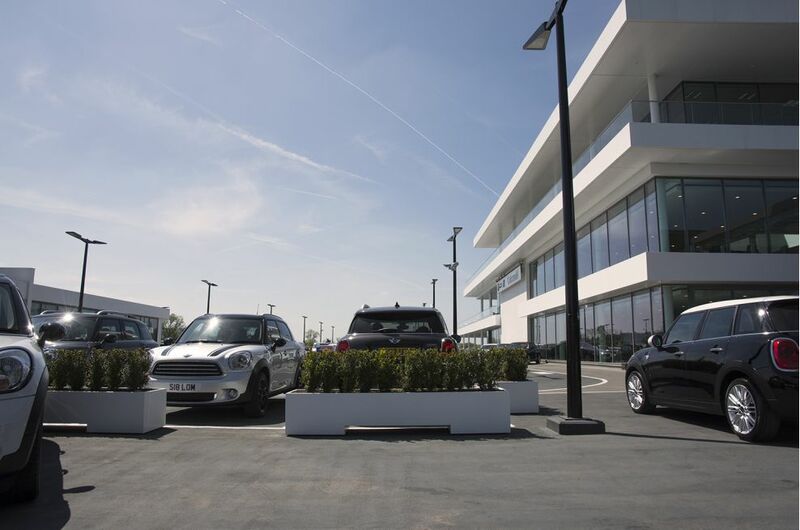 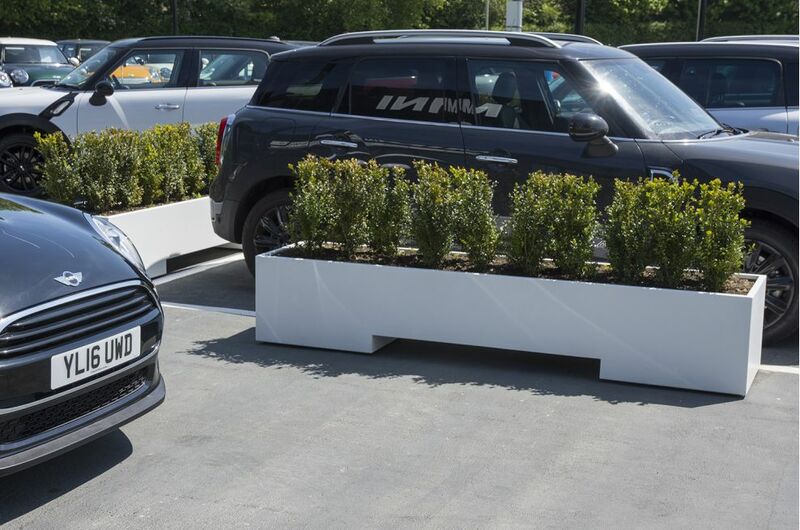 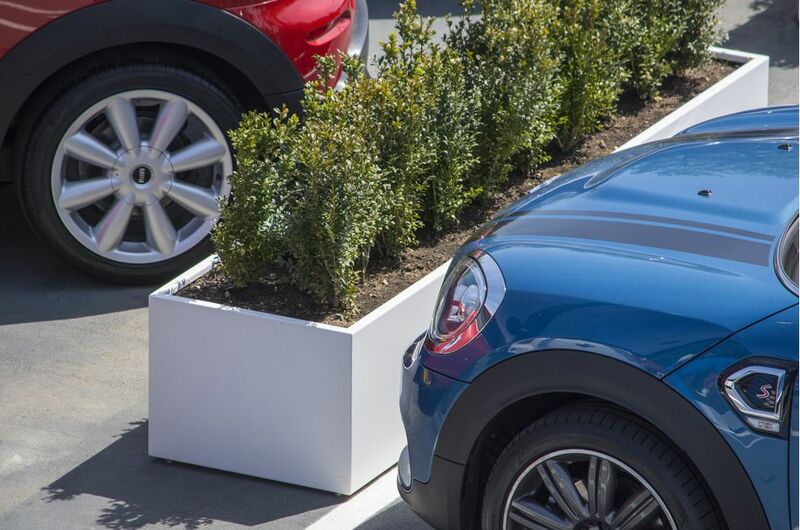 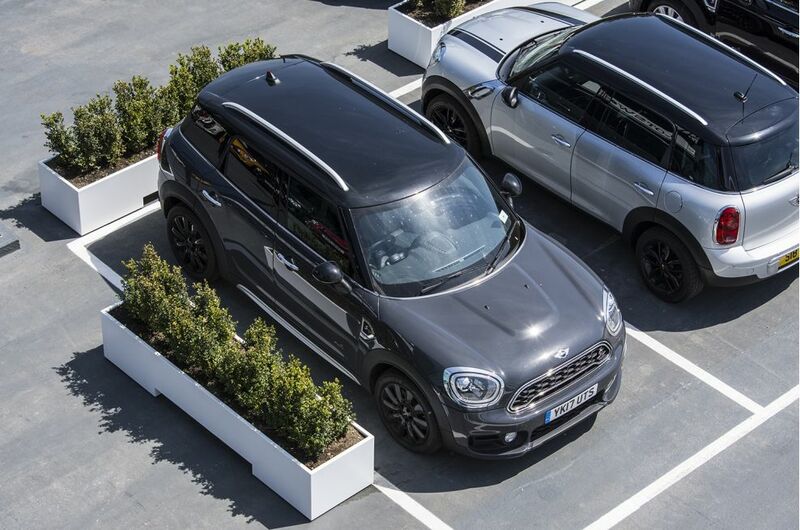 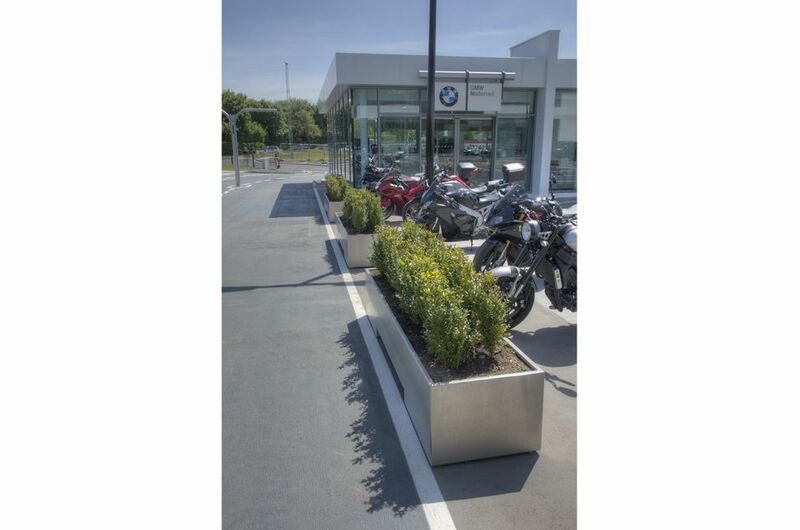 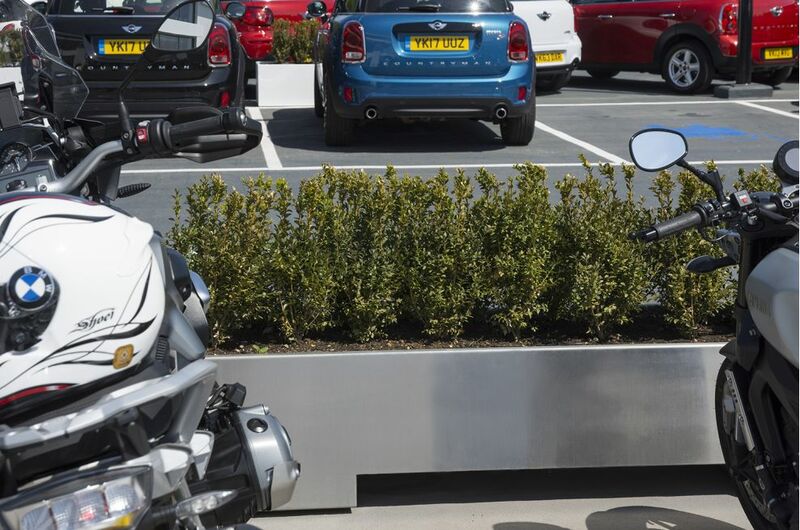 Bespoke steel planters were commissioned for Cotswold Motor Group’s newly-opened destination dealership in Cheltenham. 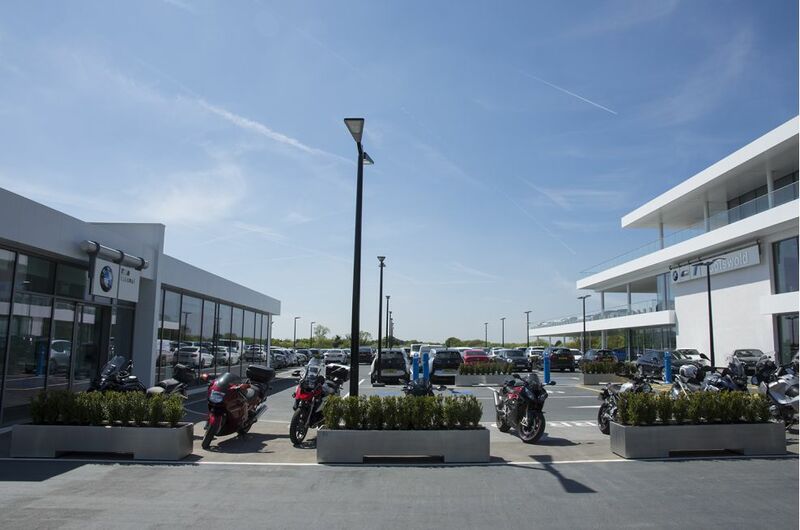 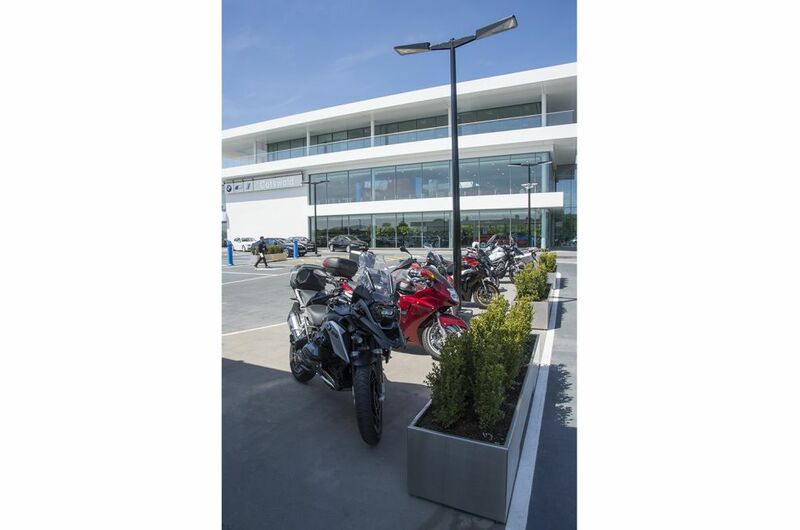 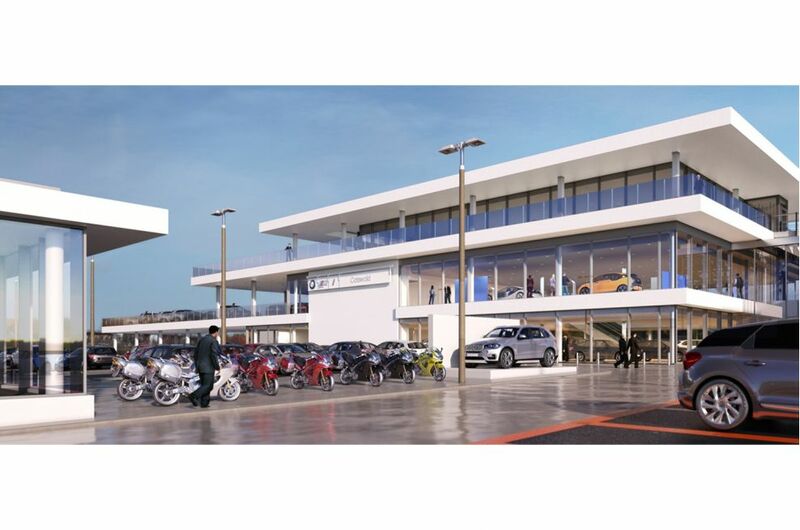 Cotswold Motor Group has combined BMW, MINI and Motorrad brands into a single, flagship location, creating the largest BMW retail centre in Europe. 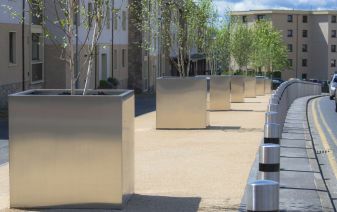 The 28nr. 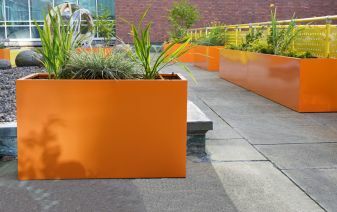 planters were all of dims. 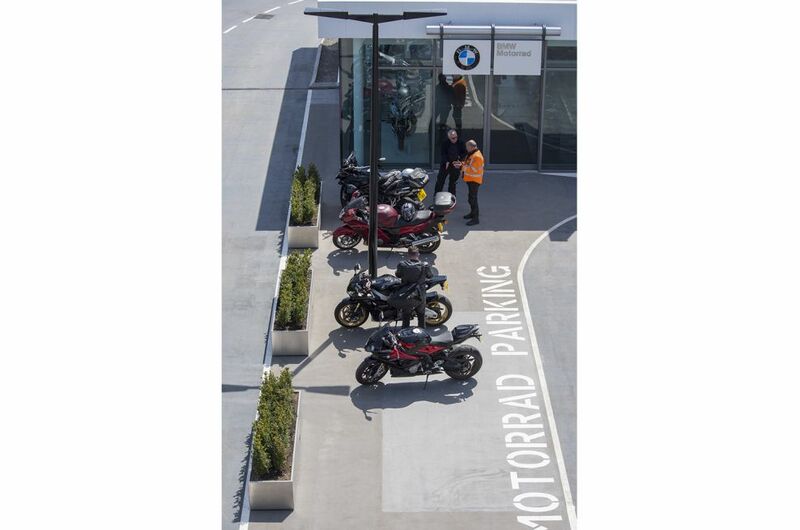 L 2460 x W 600 x H 450mm. 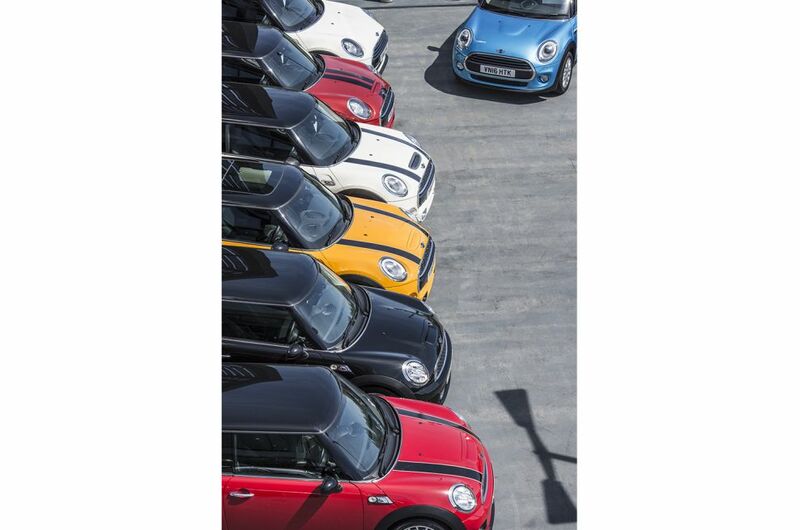 18nr. 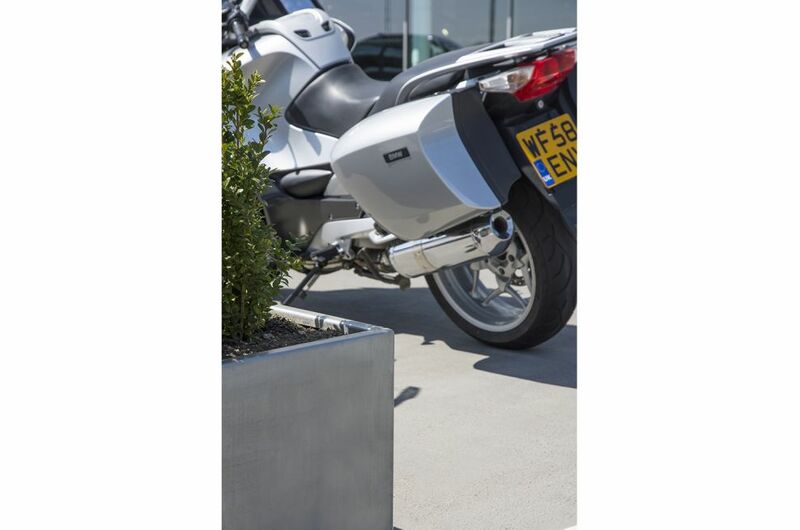 were manufactured from 3.0mm thick 316-grade Stainless Steel, with a brushed finish; and 10nr. 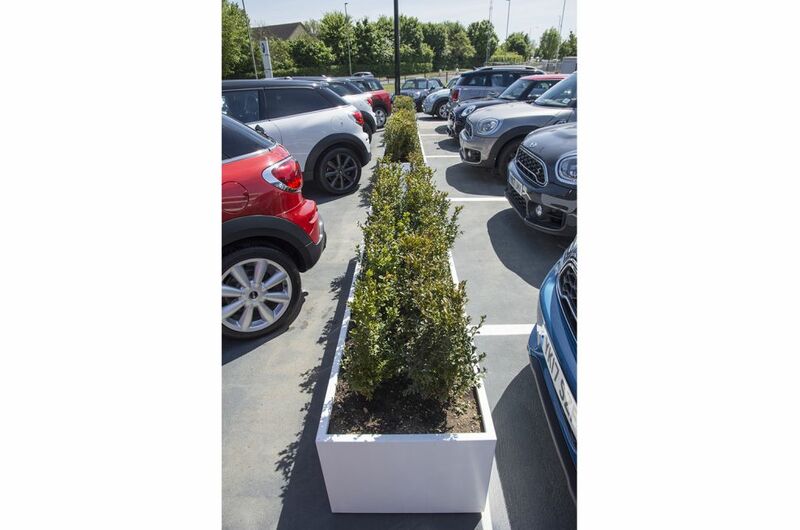 from 3.0mm thick Zintec Steel, Polyester Powder Coated to RAL 9016 [Traffic white]. 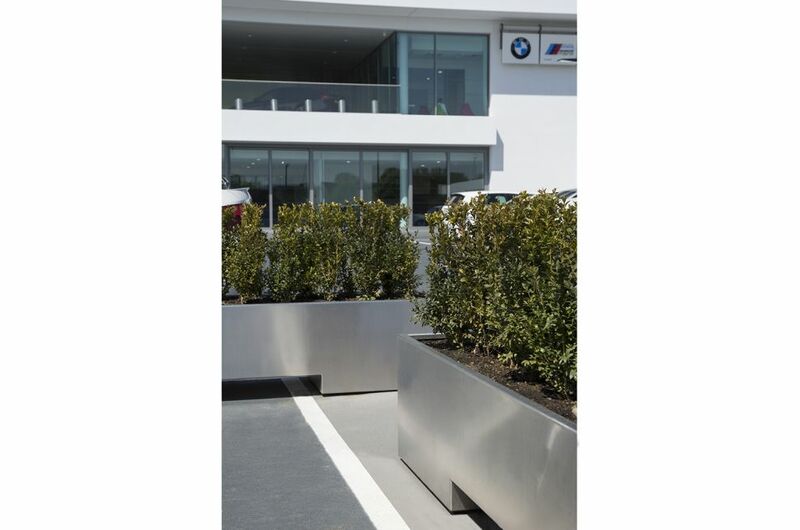 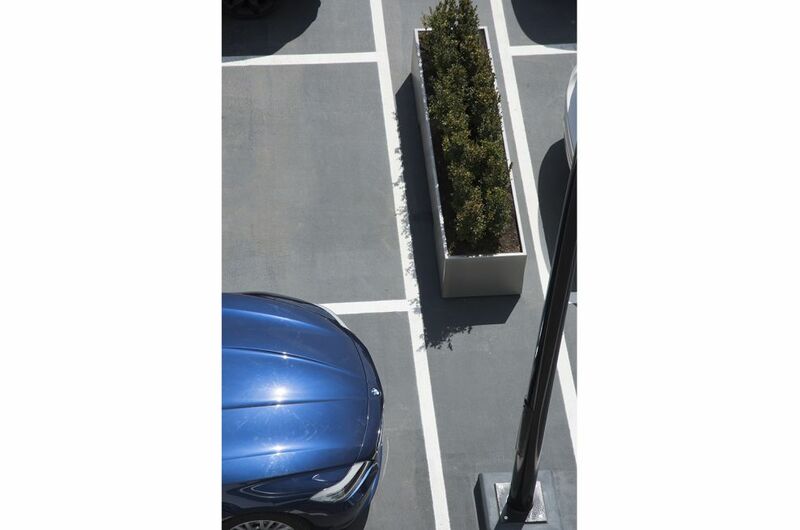 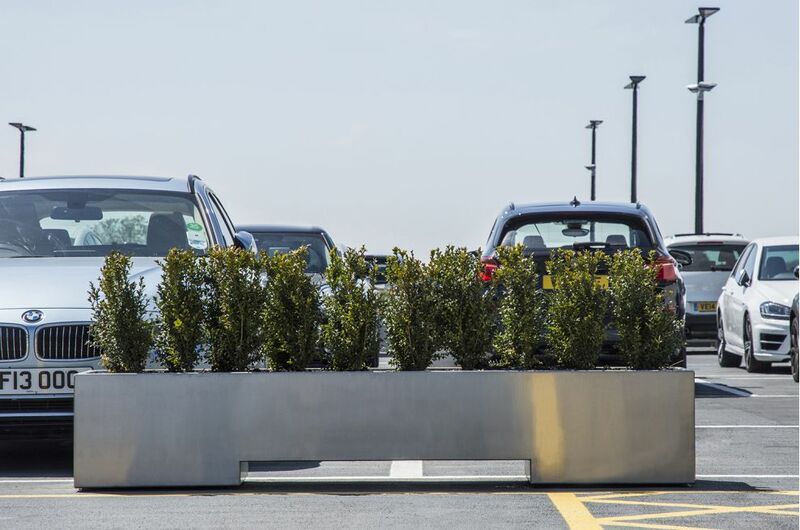 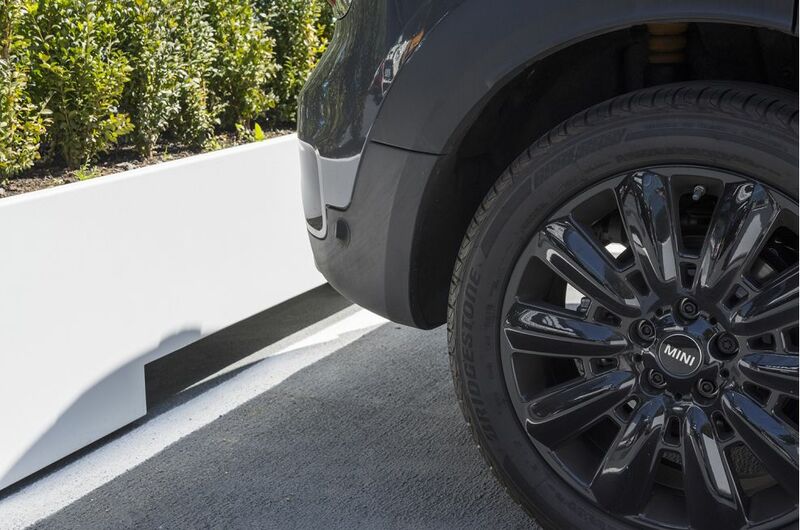 Whilst decorative, the planters also serve a functional use as moveable barriers to divide space on the forecourt; and the client was keen for this functional requirement to be delivered as invisibly as possible. 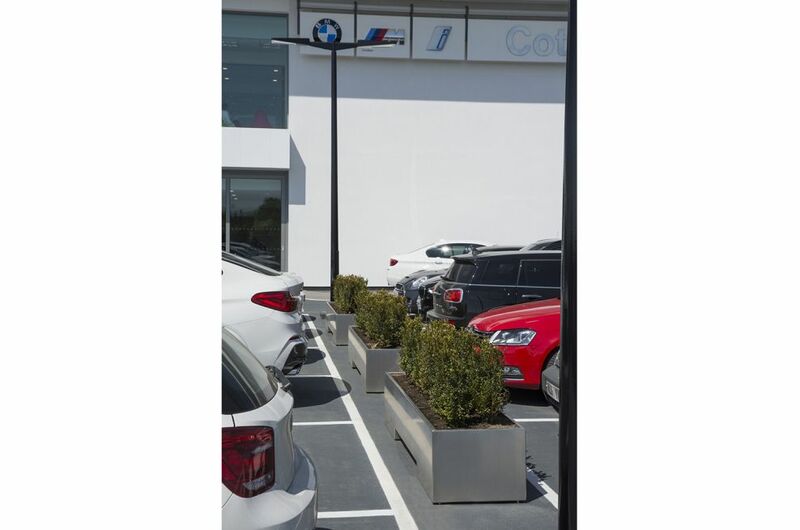 Therefore, rather than having simple channels or runners in the base, IOTA‘s design includes a long elevated central span: this solution feels very much ‘part of the planter design’, and is in keeping with the architectural style of the main showroom building.